Stripes are a pattern that never goes out of style, so we’ve created a vibrant range of striped hall runners to help you create a timeless look for your hallway. Striped runners are perfect for adding multiple colors to one space in a subtle way, without having to commit to a specific theme. With everything from thick stripes, thin stripes and pin stripes to multicolor and monochrome stripes, our collection of striped hall runners has something to suit every interior style. Stripes are by far the most vibrant and exciting pattern you could add to any interior space. 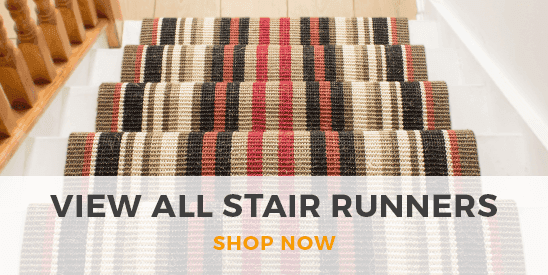 Here at Carpet Runners USA we can’t get enough of striped designs, so we’ve created an extensive striped carpet runner collection to help you bring this timeless, statement look to your hallway. With a striped carpet runner you’re not limited to just one shade, meaning you can introduce multiple colors to your space without overwhelming it. Our striped carpet runner collection features every variation on stripes you can think of, including thick stripes, thin stripes and mixtures of the two. You’ll also find variations on multi colour and monochrome stripes, so there are styles and color schemes to appeal to every interior theme and taste. Choose from a selection of striped runners in a wide range of fabrics to suit your needs, whether you’re looking for something durable and man-made for a commercial space or if you’re searching for something luxurious and natural like our collection of wool striped hall runners. You’ll also find runners in a variety of different width ranges to suit practically any interior space, whether you need something long and thin or something wide and grand for larger spaces. Whatever style and width you need, our striped carpet runner collection is packed with such a large range of inspiration that you’ll be spoiled for choice. 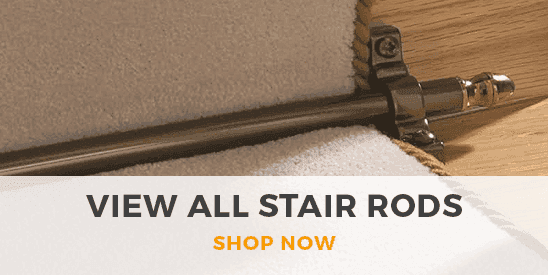 What’s more, all of our carpet runners can be ordered in absolutely any length, so your striped carpet runner is guaranteed to fit your space like an extra stylish, trend-setting glove.